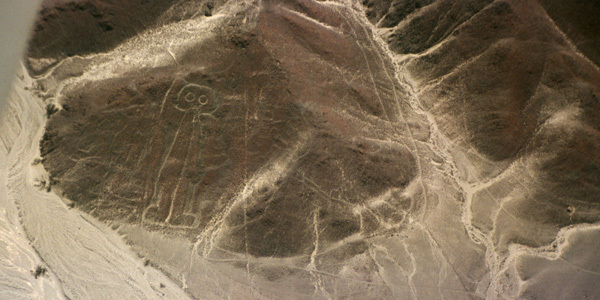 We need to bring together different scientific disciplines to begin to understand the true meaning of the Nazca Lines. We are facing one of the most unfathomable mysteries of the ancient world. How they were built? For whom? What for? 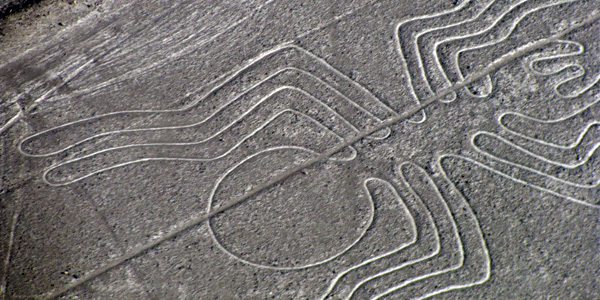 The first news on the existence and meaning of these geoglyphs goes back to the Spanish conquest. Pedro Cieza de León, the celebrated chronicler of Peru, tells the visit that Pizarro did about 1537 to the Nazca area. The chronicler mentions in his description “some signs in some parts of the desert near Nazca ...... so that the communities of Indians find the way to follow”. Francisco Hernández, a contemporary soldier of Cieza de Leon also mentions them: "the Indians traced large lines on the ground”. It was the Spanish corregidor, Luis de Monzón, who inspired in his chronicles in the late sixteenth century, the version unanimously accepted by the Indian elders of the Pampa what"they recognized the Wiracochas as the cause and motive that had led to the execution of the lines and figures". And who were the Wiracochas? According to the chronicles, an ethnic and minority group, descending of the mythical man-god Wiracocha, arrived from the skies and that he had to instruct a part of the Andean towns. The first archaeologists to note these anomalies in the region were Alfred Kroeber and Toribio Mejía in 1926. The analysis of these scholars naturally was flush with soil and unable to grasp its true real dimension. Paul Kosok (1896-1959) was an American anthropologist, a paleoirrigation specialist at Long Island University, who investigated the Nazca lines from the 1930s through the late 1950s. 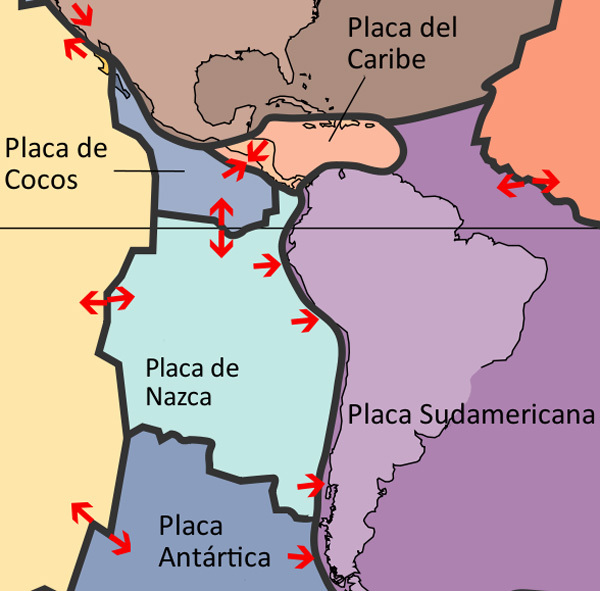 His archaeological investigations sought to explain prehistoric irrigation in the valleys of the Peruvian coast. 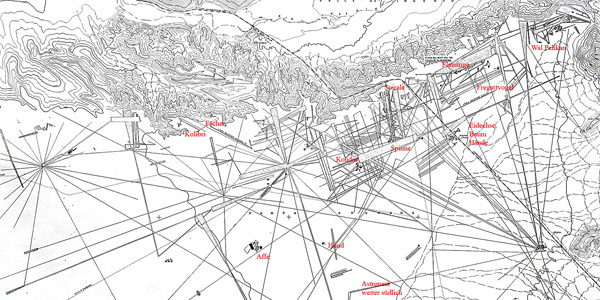 Used aerial photographs of the Shippee-Johnson Expedition (George R. Johnson, Peru from the Air, American Geographical Society, 1930) and from 1944 used aerial photographs of the United States Army and Lima Aircraft Service. By the Carbon-14 technique it was established in 550 years d. C. and in 1941 proposed the hypothesis that the lines were calendrical and astronomical signs, called the lines "The calendar of greater scale in the world". Kosok returned to his country in 1949, his companion Maria Reiche continued his investigations on the lines of Nazca. 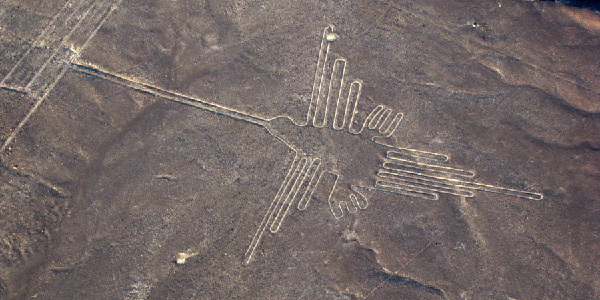 Kosok and Reich advanced one of the first explanations given on the Nazca lines, which were intended to point to the sun and the celestial bodies in the distant horizon. With all due respect to the works of Mrs. Maria Reich as many other researchers, we think that all interpretations that have been made about the meaning of the Nazca lines are far from reality and purpose of its builders. When flying over Nazca, it is enough to observe the immensity of this desert to where these lines are observable to realize that their whole is chaotic; Some end up abruptly, others intersect in any direction, some are lost in front of the coast towards the Pacific Ocean, there are others that are directed towards the Andean mountain range, being impossible to determine that its design and utility are only astronomical. All of this without forgetting that many of the lines appear on other older, barely visible, that point to different directions. 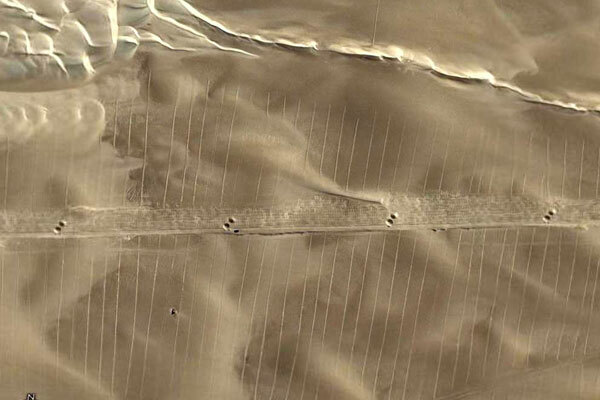 We have done many reconnaissance flights in an area from Paracas to beyond Nazca and we have observed many lines that still today have not been discovered or analyzed by official science. The scarce rains of this area, one of the driest on the planet, and the lack of obstacles to the wind, which releases its sand about a hundred kilometers to the north, make the drawings are maintained almost indefinitely. Observing this true chaos one realizes that the different interpretations that have been made on Nazca are far from the reality of what they are and for which they were constructed. We are convinced and this is where our work points out that it is necessary and essential to combine many more research disciplines such as studies of history, ancient symbology, geological studies, archaeastronomic and the latest advances in underground remote sensing systems among others. 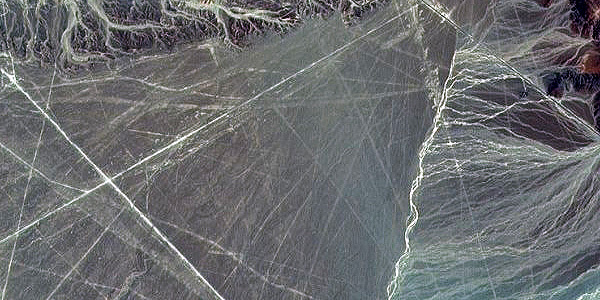 One of the investigations that we think is most important to consider is why the Nazca Lines are located opposite the critical point of suction in the Atacama Trench due to the push of the Nazca Plate in the Pacific against the South American Plate causing the Andes to rise increasingly. When the earth's crust collapses at one of its inflection points, ancient archaeological remains of the area have been thrown into the ocean abyss. 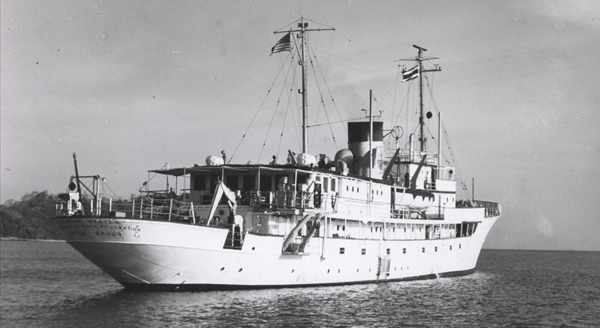 As a notable example of this we can cite the photographs of the "Milne-Edwards" pit taken by Dr. Menzies, of Duke University, from the oceanographic vessel Anton Bruun in 1965, off the coast of Peru. The sonar recordings made in this area indicated very strange configurations in the ocean floor, which was apparently a muddy surface. The photographs taken at a depth of 2000 meters showed what looked like huge pillars and walls, some covered with calligraphic signs. 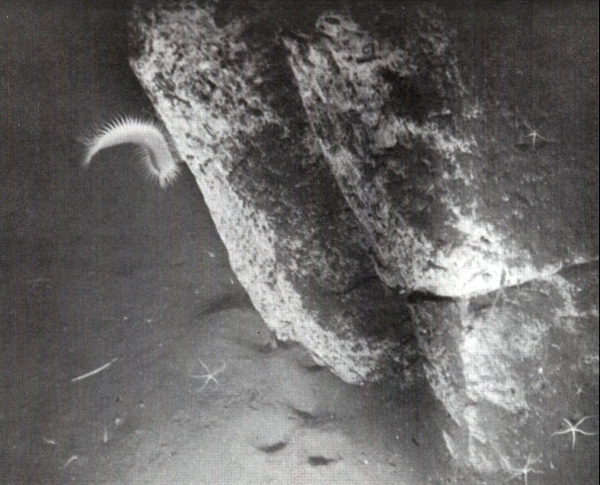 When they tried to take other photographs they noticed that although the position of the special chamber was modified by the submarine currents, other plates of rocks with artificial forms were obtained that lay on the sides, and some of them in piles, as if they had rolled one on top other. This happened at a time when many archaeological remains sank to a depth of more than 1500 meters at the bottom of the sea. Although this incident shows one of the deepest depths of the ocean in which ruins have been found, it is probable that future underwater explorations, carried out at the same or similar depths, will provide definite evidence, in the relatively near future, of the existence of civilizations Whose remains lie now at the depth of the world's oceans. 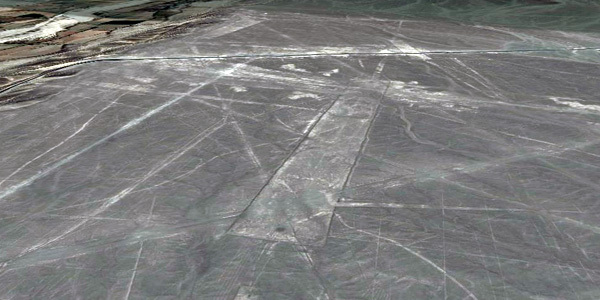 Can the Nazca Lines be related to these underwater remains? Anselm Pi Rambla and our team are carrying out research and archeoastronomical and geophysical analyzes of Nazca that are in full execution. Maria Reiche graduated in mathematics from the Technische Hochschule Dresden, was the most controversial researcher on all the works carried out in the Nazca desert that the lines represented the largest calendar in the world. He spent his whole life studying, measuring and orienting the geoglyphs by establishing a relationship between them and the position with respect to the stars, coming to the conclusion among others that they were used to determine the time of the year most suitable for planting And the harvest as well as for the flood of rivers. Help us with your contribution to investigate and explore the rich world archaeological heritage and to discover the ancient lost civilizations and their great mysteries.